I received this lip butter as part of a lovely little prize package from Rebecca at Ruffles and Lace. 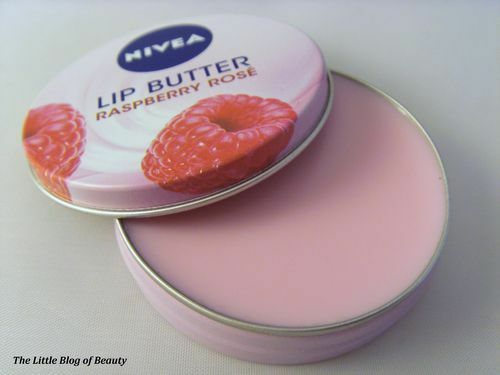 I’m one of those people who has loads of different lip balms but I find that I use a particular one that I really like and then after a while it doesn’t seem to work as well as it used to. Does anybody else find that? So if I have several I can switch between them when one stops working as well and go back to it at a later date. I don’t think there is an awful lot you can say in a review about a lip balm but I do really like this. 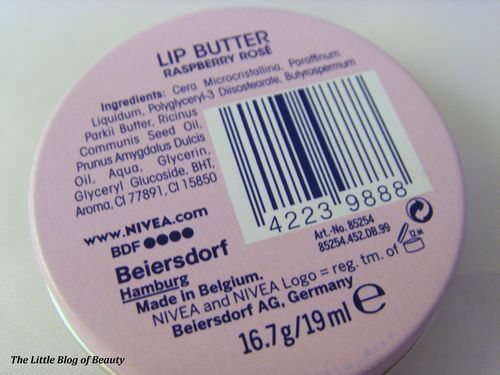 It has a lovely raspberry scent that makes your mouth water and is not artificial in any way. 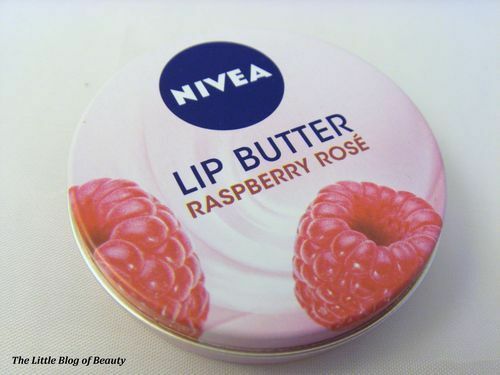 This has quite a strong smell for a lip product but this is good, I find some really don’t smell of much at all. It’s not too hard so it’s easy to apply and this has been keeping my lips soft, smooth and moisturised for the last couple of days. This is really good value at just £2.25 and they also come in original, caramel cream and vanilla macadamia.